With the emergence of online businesses, there has been a considerable change in the shopping patterns of potential consumers. Innumerable customers are increasingly opting for the online stores and businesses for fulfilling their purchase needs. Therefore, you need to captivate the attention of this potential consumer pool to enhance the sales of your online business. And what better than a unique business website can make it happen. Now, there are some significant aspects worth considering, in this regard. 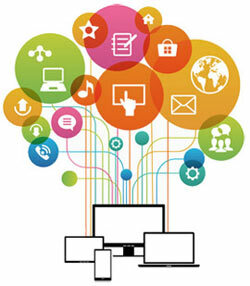 Other than designing your website in the best possible manner, think of integrating certain devices. As the most desired consequence, your business website will transform into the most functional lead conversion tool. Compelling your potential consumers to make instantaneous purchase decisions can prove to be helpful. And that will inevitably generate numerous leads to your business websites, making it retain its position in seo rankings. Offering subscriptions to your business blogs will be a great way to capture consumer attention. While doing so, you can choose the medium of email. With their email addresses within your reach, you can notify any minute tweaking in your business blogs. Moreover, the email addresses of your potential client pool will prove to be the most effective tool for lead generation. Allure your website visitors with additional information packages and how-to guides.Remember, these guides should be in compliance with your business. Your potential consumers will just need to download these information packages by providing their information. Well, this will also be a clever way of getting access to their contact information. To make an efficient website it is very important to opt-in for a website maintenance service. Most of the website owners don’t think off this. But they forget that your website visitors need more information and news about your business. So to keep them up-to-date you need to make sure the website has latest and relative information. Offering lucrative discount coupons can also be a potential manner of arousing interest amongst your client pool. While doing so, you can make your website visitors fill out contact forms. Now, this will provide you the opportunity of marketing your products to them. 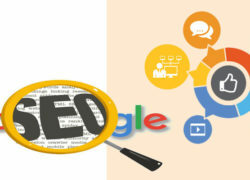 Moreover, there are sem services too. Apart from the integration mentioned above, live chat options and contact pages in your business website will be the key players in generating uncountable leads.